Chadian troops participate in the closing ceremony of Operation Flintlock, N'Djamena, Chad, March 9, 2015 (AP photo by Jerome Delay). On the morning of May 5, Boko Haram militants attacked a Chadian military post in the Lake Chad region near the border with northeast Nigeria, where the extremist group is based. 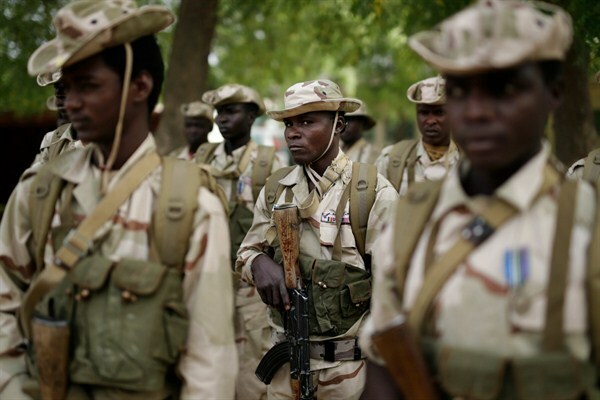 Nine soldiers were killed, the latest casualties suffered by Chad’s military as it responds to a crisis that, on Chadian territory alone, has left hundreds dead and displaced more than 100,000.